Met steeds bredere ski's is het leuk om een ​​nieuwe ski te zien die slechts 78mm breed is. De Latigo ADJ is een all-mountain freeride ski, gebaseerd op Blizzards race ervaring en dekt beide disciplines. Een grip ski waarmee je hard bochten kan nemen met vol vertrouwen. Dankzij de rockered tip en staart is de ski gemakkelijker te hanteren en verbeterd het glijden op poedersneeuw. Geschikt voor 50% piste en 50% off-piste. Top ski. Zowel om hard te gaan op de piste als voor diepsneeuw off-piste. Heel aangenaam en geen problemen mee gehad. Well packaged and delivered quickly by GLS from Denmark. 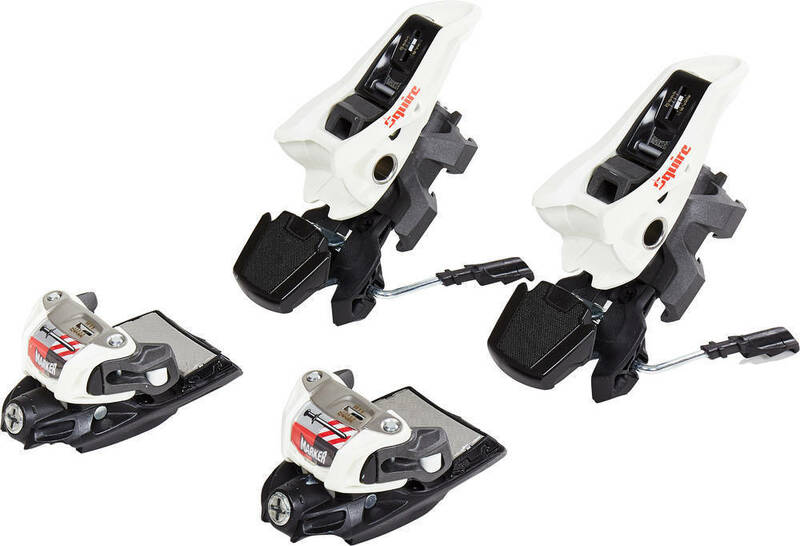 Was slightly nervous about adjustable bindings, normally used for demo or ski hire outlets, but they seem rock solid and very good quality (Marker Squire) although not tested them in real snow yet. Latigo is about the narrowest-waisted all mountain ski out there; performed excellently on indoor pisted slope with some messy snow and minor bumps. I'd say they ski 'shorter' than their actual length, which is great as the length will aid stability at speed. Whether they perform in powder remains to be seen. I found them very responsive and easy to carve turns; short turns were a joy. I haven't tried the Blizzard Brahma which is probably the closest ski to these; compared with Head piste skis I used for hire this year in the Dolomites I much prefer these after initial outing. Obviously they have brand new edges but they seem more responsive and stiffer when powering out of turns. Also very good looking which appeals.